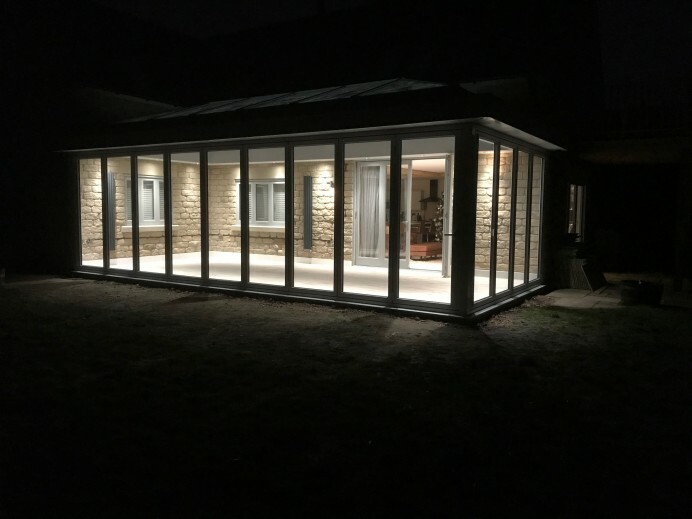 One of the good things about the orangeries that we build, is that we are able customise so many different areas of the build so that it is a personal build for the customer. 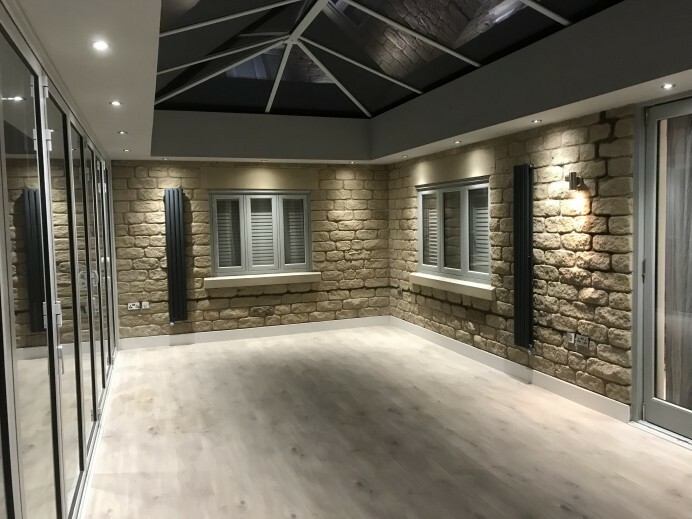 The way how we are able to do this is providing out customers with different size options for their orangery, optional windows, optional entrance ways, different finishes of fascia, and different finishes for the exterior, including choosing between a render and a brick work image. Because of all of these features, we have been able to build a wide selection of orangeries making each one unique, and allowing it to stand our from the crowd. 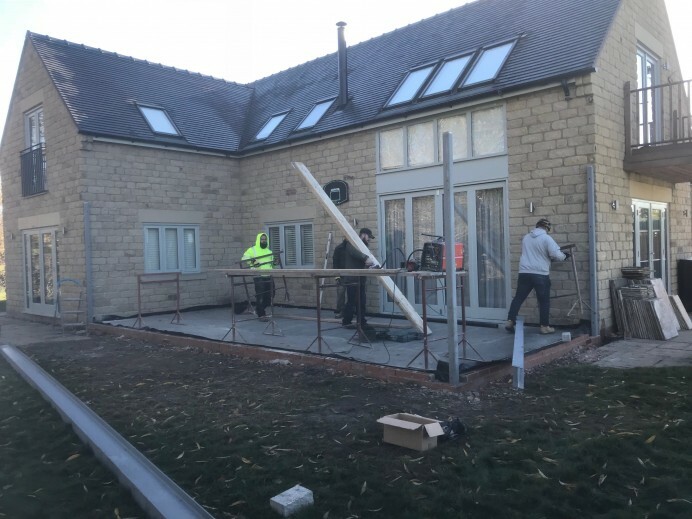 Take this job for example, this customer had an L shaped property and wanted to have an orangery built that would join both ends of the customers home together, which resulted in the orangery measuring 9 metres in length by 4 metres in width. 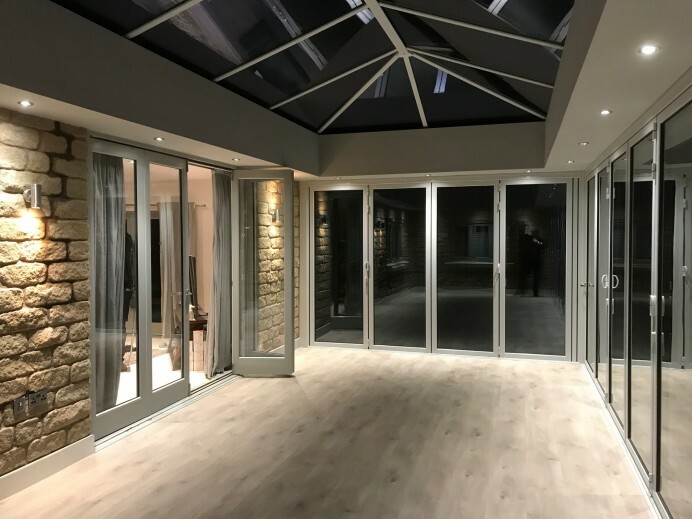 To accompany this size, the customer wanted to have a 9 metre Origin bi fold door installed along the length of the orangery that would lead to the customers garden, and then have 4 windows installed on the far right of the orangery to allow as much light as possible to enter the space. 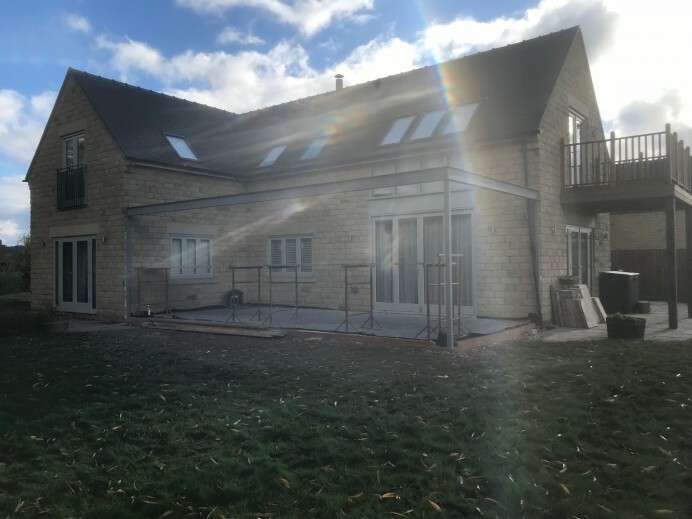 As a finishing touch to the build, all of the windows and fascia boards were finished in dark metallic silver to provide a distinctive finish to this job, and as you can see from the images, this orangery really does stand out from the rest.